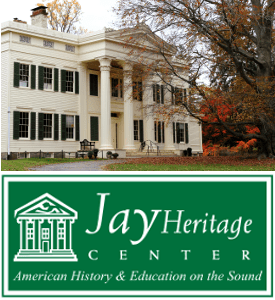 The Columbia County Historical Society and the Committee for the Town of Kinderhook have announced “Oil Tank Safety in Historic Properties,” a free lecture set for Saturday, January 26th, from 1:30 to 2:30 pm, in the meeting room of the Martin H. Glynn Municipal Building, 3211 Church Street, in Valatie, NY. 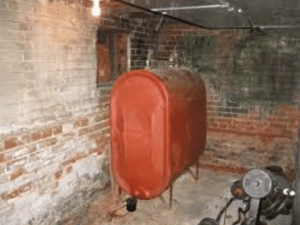 This lecture is aimed towards those whose oil tank is more than 15 years old; own an historic property, are planning to sell or buy a property; or are thinking of replacing an older tank. There is no way to predict if or when an oil tank will fail. Both above ground and underground tanks have the potential for a costly environmental condition. Oil tanks will leak with age or when exposed to the elements. Learn what to look for if your tank is a potential candidate for replacement, before it becomes an environmental hazard. Learn how to go about the process of oil tank abandonment if your tank has leaked or is buried. Logical and responsible choices in new oil tanks will also be discussed. Toni Hokanson, Director of Marketing and Training for C2G Environmental Consultants in New Paltz will explain the life span of oil tanks, options for abandonment or removal as well as new tank options. Cailey Nieto, Public Health Technician, with the Columbia County Department of Health, will also make a brief presentation about fire extinguishers and what we should know about them and where to have them filled or checked. Photo of an old oil tank provided.